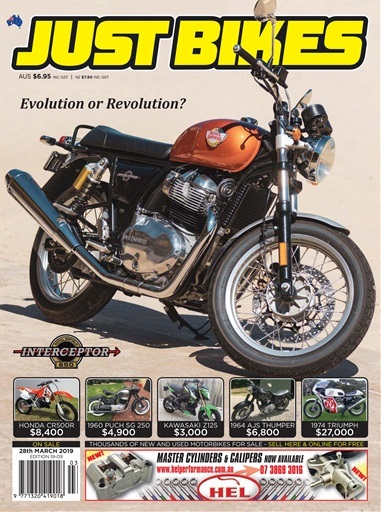 (0 Customer Reviews) | Write Review 12 issues per year Whether you’re into collectable classics or the latest superbike, Just Bikes is the only magazine you need if you want to buy, sell or just dream. There’s no better place to find your next dream machine! 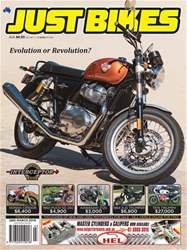 Whether you’re into collectable classics or the latest superbike, JUST BIKES is the only magazine you need if you want to buy, sell or just dream. There’s no better place to find your next dream machine! You'll receive 12 issues during a 1 year JUST BIKES magazine subscription. You'll receive 12 issues during a 1 year JUST BIKES magazine print subscription.